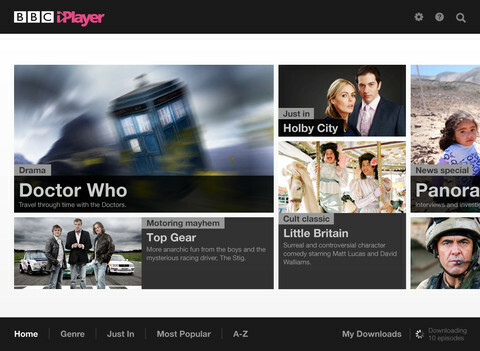 Last week i downloaded the BBC iPlayer for my iPad and i have to admit i love it. theres a 65kr per month subscription but i think its more than worth it when you look at the pure diversity of programs that are on it; So whats been happening is in the evenings I’ve been choosing programs, downloading them to my iPad and watching them on the way too and from work – this is also good for those hours you end up stuck in airports. So far I’ve been watching mostly doctor who, and Judge John Deed – but theres enough new stuff on there to keep me busy for a long time. I love the fact that with airplay i can also stream these programs directly to my TV. Incidently for anyone that doesn’t realize it you can manage your subscriptions through iTunes – on the iPad its easy to subscribe but it took me a while to figure out how to remove a subscription after. Update 2011-12-07: now this app is available for the iPhone ! Cool!